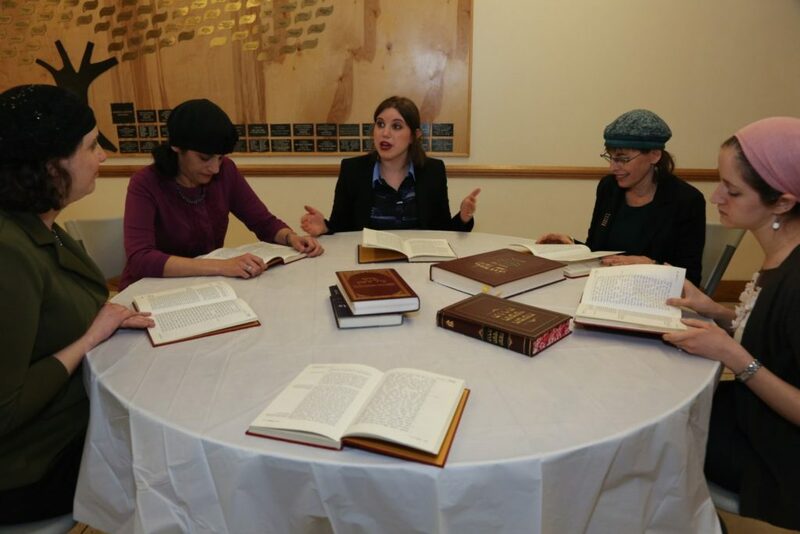 Rabbanit Hadas “Dasi” Fruchter has figured out why she’s moving to Philadelphia this summer, and that reason is the South Philadelphia Shtiebel. Fruchter, the Orthodox clergywoman who last summer announced plans to start her own synagogue, will launch the Shtiebel in the fall to be “a space that is hospitable to Jews from all backgrounds, and is also designed to support and welcome the growing Orthodox Jewish community in and around South Philadelphia,” according to the organization’s website. The Shtiebel’s programming is still in the works, but Fruchter hopes to provide Kabbalat Shabbat services and Friday night dinners, join efforts to expand the Center City eruv, organize social action activities and offer a women’s study group. She found that space in South Philadelphia, where locals told her there was room for what she was offering. South Philadelphia, she said, has a large Jewish population, including a growing shomer Shabbat community. The area already has a few synagogues of its own, such as The Little Shul-Congregation Shivtei Yeshuron Ezras Israel and Chabad Young Philly, and other synagogues in the Center City area serve the community, too. “It’s been cool to think about how to build on it,” Fruchter said. She’s working on finding a home base for the Shtiebel. She would like to have a house but could envision a storefront with an apartment on top. She wants to provide a place for home-based davening. In listening to the needs of the community, she’s met young professionals, families and empty nesters. One of those was Elkins Park resident Michael Schatz, who chatted with her about different neighborhoods in Philadelphia. He told her about the Jewish history of South Philadelphia — in addition to West Philadelphia and Northern Liberties — and about their re-emerging Jewish communities. “I can’t say they’re emerging Jewish neighborhoods, but they’re certainly emerging as places where young Jewish people are headed, along with all kinds of other millennials,” said Schatz, who manages Philadelphia Jewish History Tours. He sent Fruchter a list of synagogues that used to exist in Philadelphia and are now homes or churches or other buildings, and mentioned to her that he thought it would be cool if she found a space in one of these places. Fruchter likes the idea of the Shtiebel helping to revive a historic Jewish community, such as that which used to exist south of Spruce Street and between Second and Eighth streets. The Shtiebel’s site notes that the organization’s name is a nod to Jewish history. “I have really loved starting to get up close and personal with the history of the city, especially since I’m trying to preserve some of that original culture from the South Philadelphia Jewish community,” Fruchter said. Fruchter is launching the Shtiebel with funding from Hillel International’s Office of Innovation, former Philadelphian Zelda R. Stern and Start-Up Shul, a organization that seeks to support inclusive Orthodox communities. She is one of two fellows in its current class. Fruchter’s decision to choose Philadelphia to build this community came from her gut, she said. On top of those 75 meetings she’s already had, Fruchter is interested in continuing to meet more people from the community — and drinking even more coffee.